In March of this year, Anderson Jones, PLLC Attorney Caroline Trautman had the honor of teaching a CLE course on ethical issues with simultaneously representing multiple clients in construction cases. This was at a North Carolina Advocates for Justice CLE focusing on construction law. 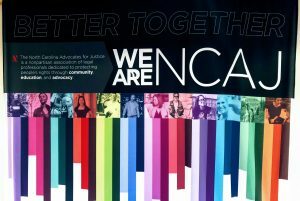 The NCAJ is a nonpartisan association of legal professionals dedicated to protecting people’s rights through community, education, and advocacy. To schedule a consultation with Caroline Trautman for any construction related issues, contact us today at (919) 277-2541 or by email.